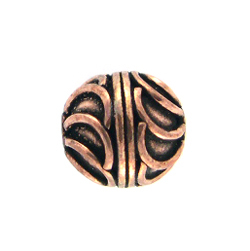 Antique Finish Copper Beads. Each measures approximately 11mm. Sold in packs of 10.